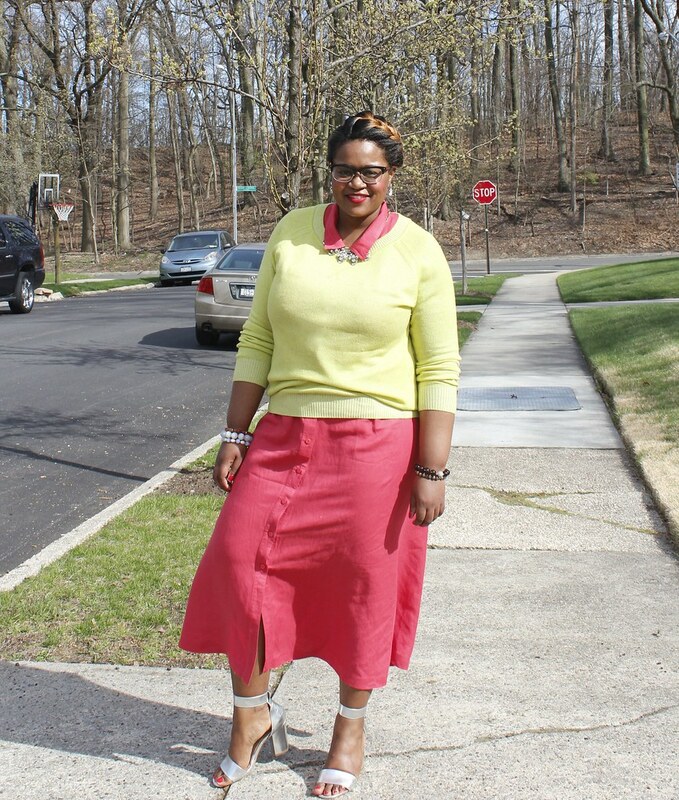 Don't you just love Spring for the immediate pop colors you can bring out from the back of your closet? Just look at these magnificent colors I'm wearing. 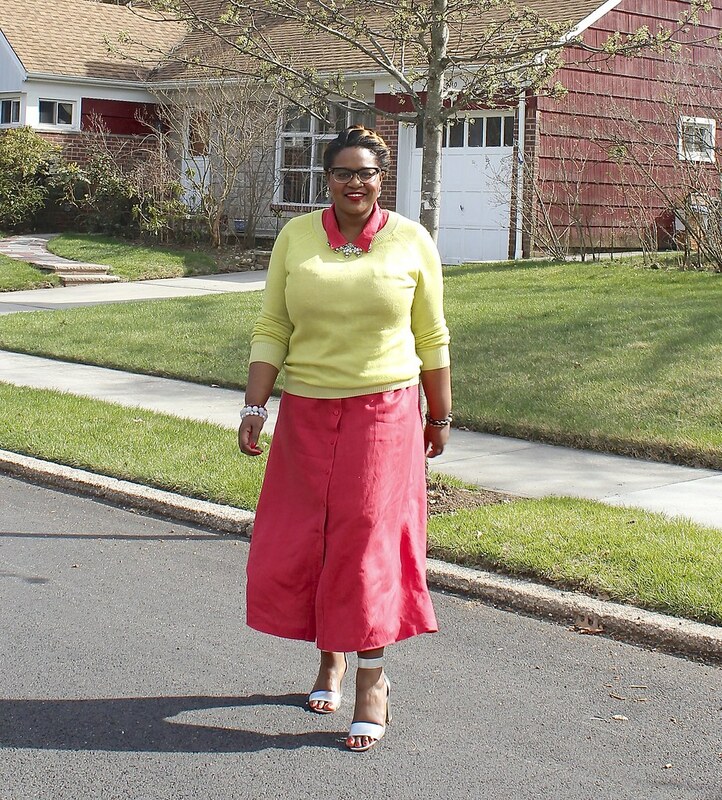 I love wearing pop colors knowing that I can incorporate a spring sweater into the mix with a gorgeous summer dress. Sweaters like these are just perfect for those early mornings or late nights when it's still a bit nippy out. 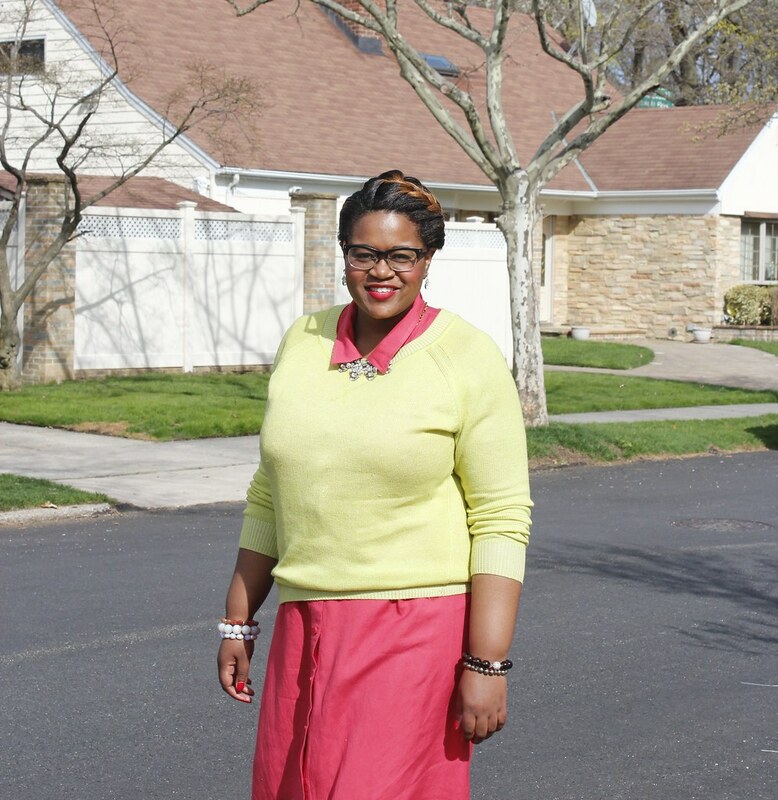 As the day progresses I can easily pull off the sweater and walk in style with my pop of color dress. Best of both worlds. 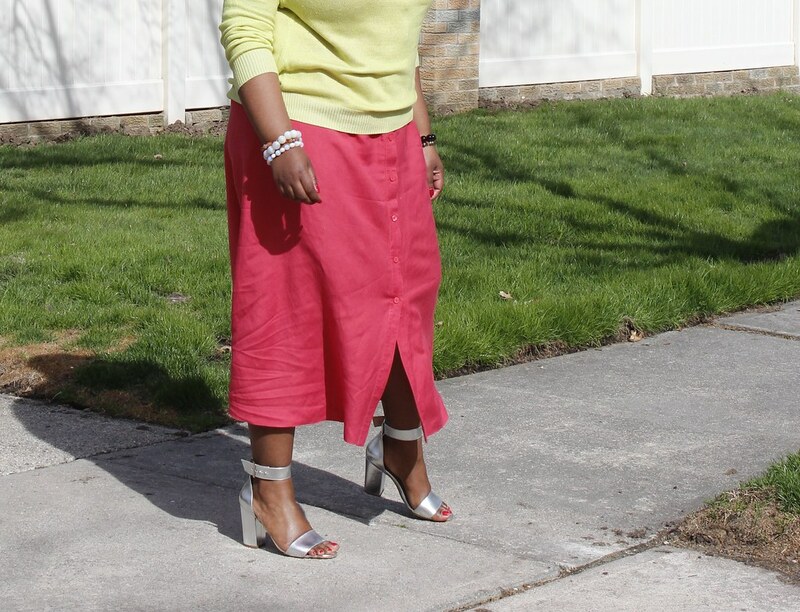 Adding an eye catching sandal instead of a boot surely coaxes me that Spring is in the air on those nippy days. 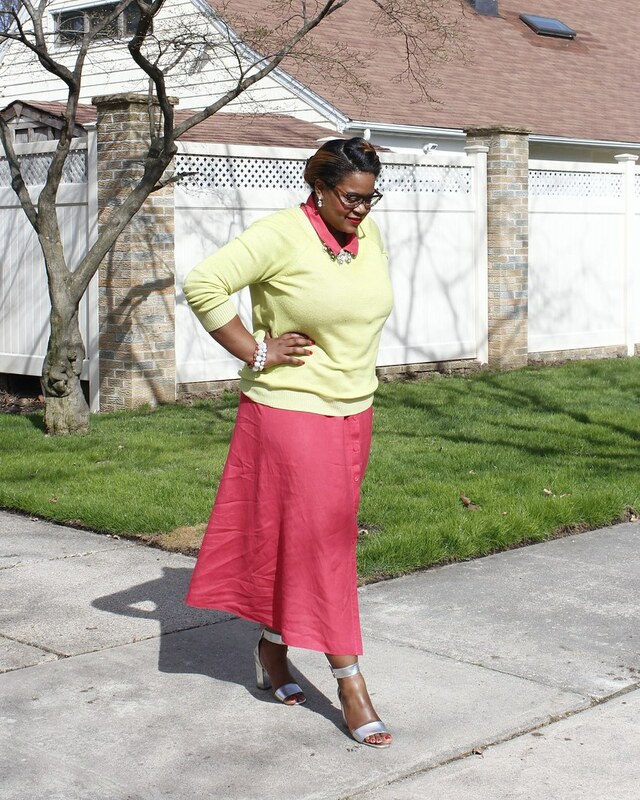 Tell me, do you mix your colors as brightly as I do? 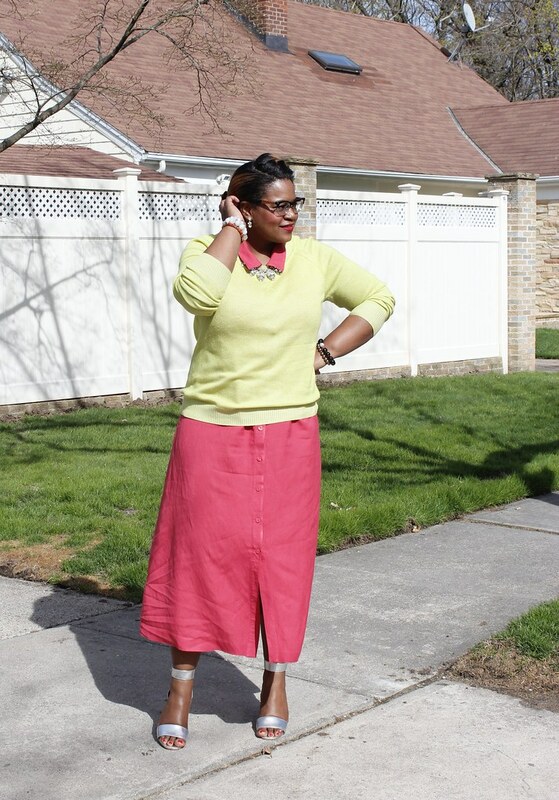 Details of my outfit include a Gap sweater (in love with this pop color sweater and this fuchsia princess, also the softness of this one), a vintage dress (This ASOS number can sway in the spring breeze easily), Topshop heels (so many colors for your liking), and Jcrew necklace (check out this bling bling).